We provide quality servo amplifiers and controllers to our OEM partners and have the expertise to provide innovative solutions for the most demanding applications in many industries. Every product that we manufacture is 100% tested before it leaves our facility by our proprietary in-house automated test equipment. We offer some of the best performing Linear Servo Amplifiers on the market today. Our LA Series Linear Servo Amplifiers are ideal for applications requiring low noise, high bandwidth and zero crossover distortion. Our linear servo amplifier design features a high-speed DSP that provides real-time fault monitoring and detection. Sophisticated algorithms are used to continually protect the amplifier from potentially damaging conditions, including overpower. Our Pulse Width Modulated (PWM) Servo Amplifiers are designed for cost sensitive high-performance OEM applications. 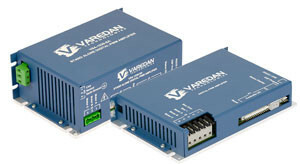 These fully digital servo amplifiers are available in a variety of power ranges to drive three-phase brushless motors (AC servo), single-phase brush-type motors (DC servo) or voice coils. 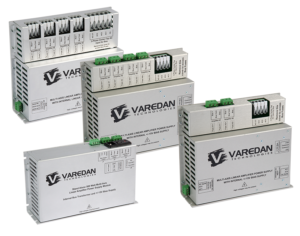 These amplifiers can operate in position mode, velocity mode, torque mode or 2-phase external commutation mode. Standard AC step down isolation transformers to convert Mains Voltages to the lower voltages required by linear amplifiers are available. 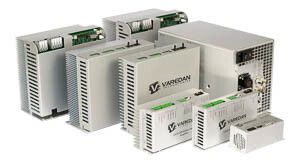 Varedan supplies both single phase and three phase transformers. Single phase transformers are available at 1 and 2 KVA. Three phase transformers are available at 3, 6 and 9 KVA. Transformers with non-standard secondary voltages are also available.